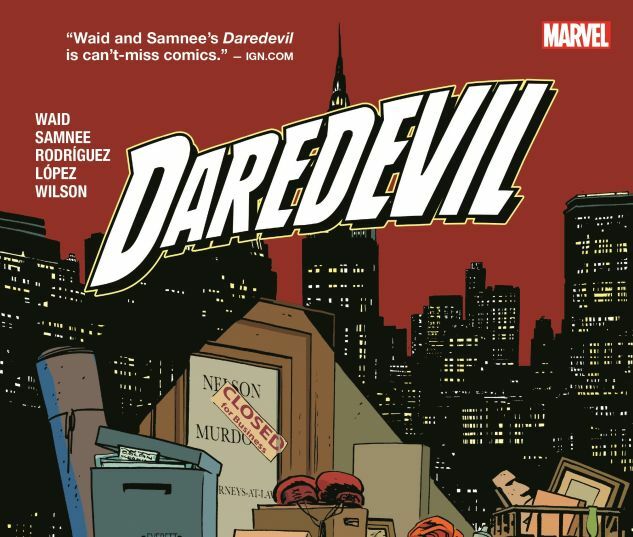 Mark Waid and Chris Samnee’s acclaimed, Eisner Award-winning run reaches its dramatic conclusion! Can Matt Murdock possibly juggle his dual identities while also dealing with best friend Foggy Nelson’s fight against cancer? As Daredevil, he’ll be aided by the Silver Surfer, the Indestructible Hulk and…the Legion of Monsters?! As Matt, he’ll have his world turned upside down — sending him across the country to build a new life in sunny San Francisco! But old haunts and familiar faces threaten to wreck DD’s fresh start — including the deadlier-than-ever Owl. The Shroud is a rival vigilante, and the Purple Children are like nothing he’s ever faced before. And as the shocking climax approaches, one of Daredevil’s oldest enemies makes his return! 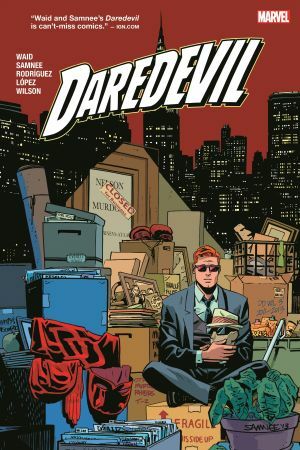 Collecting DAREDEVIL (2011) #28-36; INDESTRUCTIBLE HULK #9-10; and DAREDEVIL (2014) #0.1, #1-18, #1.50 and #15.1.